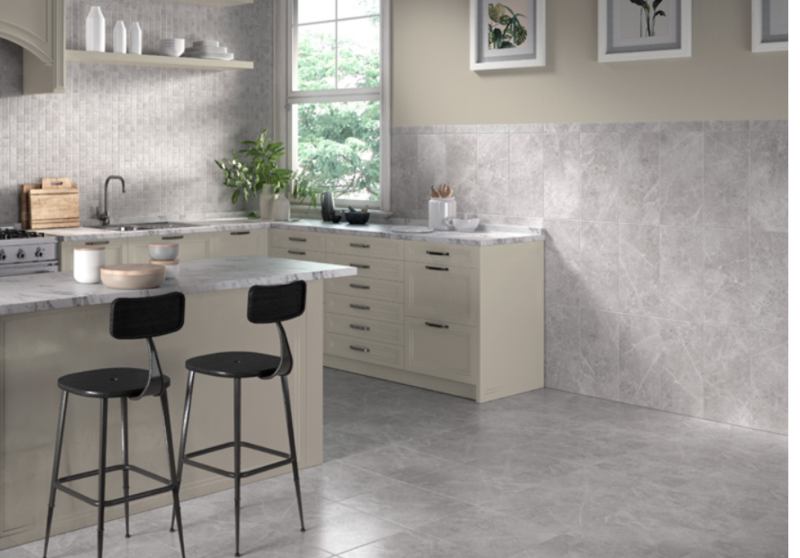 Cheverly is a Spanish porcelain floor tile with ceramic wall tile options in both glossy or matte finishes. The elegant marble stone look comes in grey, ivory, or beige tones. A porcelain and ceramic tile combination perfect for any setting, including bathrooms and kitchens.